I’m a gal who loves her BB cream. 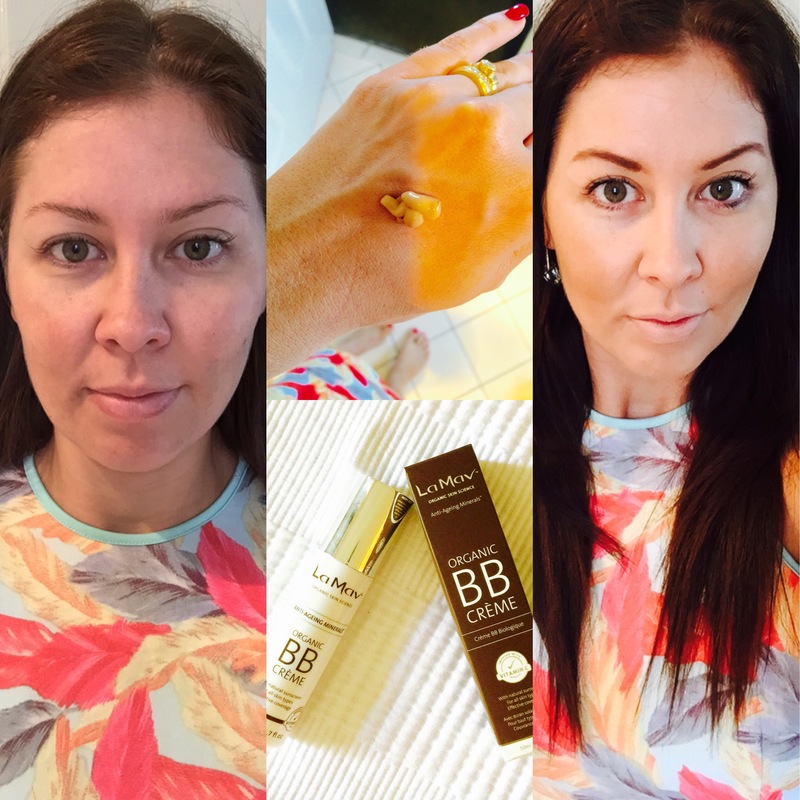 Recently my friends at Nebo Organics introduced me to a fab product from La Mav called Organic BB Creme. It’s filled with anti-ageing minerals and beautiful organic ingredients that make your skin glow and feel great. Infused with Vitamin C and natural sunscreen this BB Creme is a little bit of magic in a bottle and made my skin feel fresh and radiant. Very easy to apply and a little bit went a long way. My skin felt moisturised all day, it evened my complexion, hid pigmentation and break outs and left my skin looking flawless. The coverage is perfect for day to day and for night time I simply added a little bit of mineral powder. This is the first organic BB Creme I’ve ever tried and it felt really good to put something on my skin that was not riddled with fillers and chemicals. All in all it’s a great product and one I am delighted to share with you and will continue using. Nebo Organics are giving one lucky reader a bottle of their own La Mav Organic BB Creme to try for themselves. For a chance to win simply share with me why you would like to try this product? 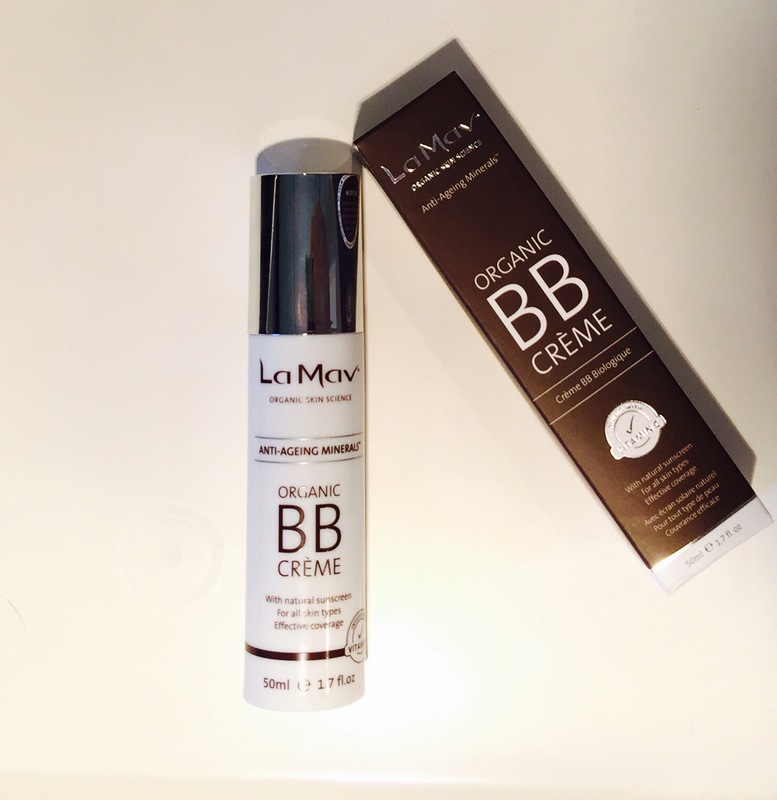 La Mav Organic BB Crème is the ultimate multi-tasker and must have product for your makeup bag. Not only the perfect colour balancing makeup base, La Mav Organic BB Crème also provides an anti-ageing remedy and natural protection from the sun all whilst leaving your skin feeling smooth, radiant and hydrated. Reduce your daily makeup routine down to one highly effective product that is easy to apply and very affordable. La Mav BB Crème is perfect for those with hypersensitive skin, or conditions such as Rosacea, Eczema and Acne. NEBO Organics is a retail store and online experience designed for those passionate about an organic lifestyle. 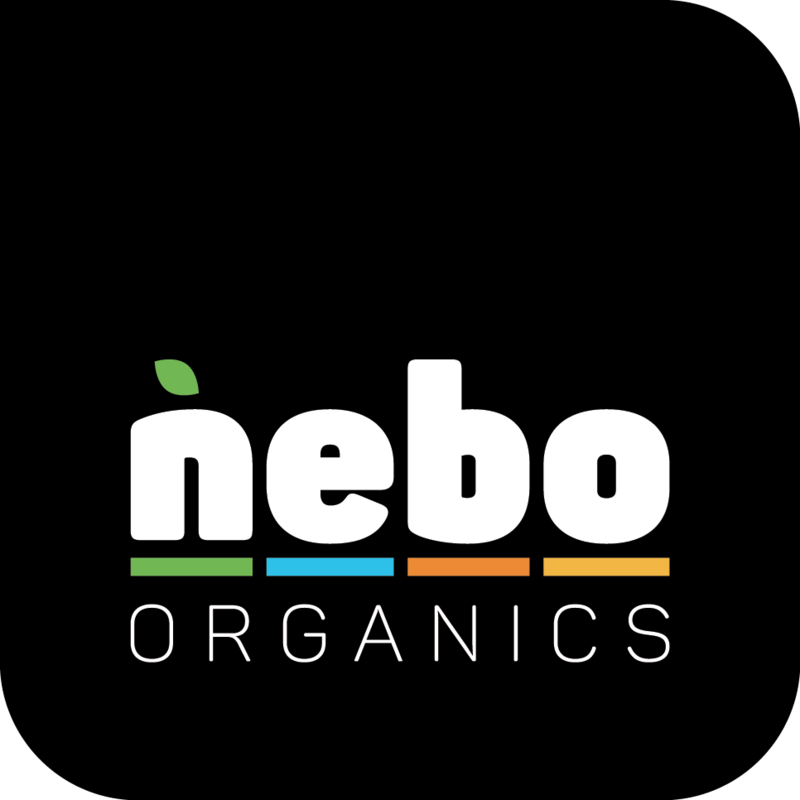 NEBO is Natural, Ecological, Bio-dynamic and Organic – all the qualities that we believe should make up our food, skincare and home products to ensure we live the healthiest and most environmentally friendly lives possible. NEBO isn’t just about food though, our philosophy also extends to the home including cleaning and beauty giving you the option to make better, healthier choices for the commercial products you introduce to your home environment. You can’t control everything around you but you can make decisions on most things that you eat, you put on your skin and what you bring into your home. NEBO doesn’t want you to or expect you to change your entire way of living but we do encourage you to consider making the healthiest and friendliest options where possible. The team at NEBO is ready and willing to help you on your health journey to show you what’s available and how you can make some simple changes for the better. 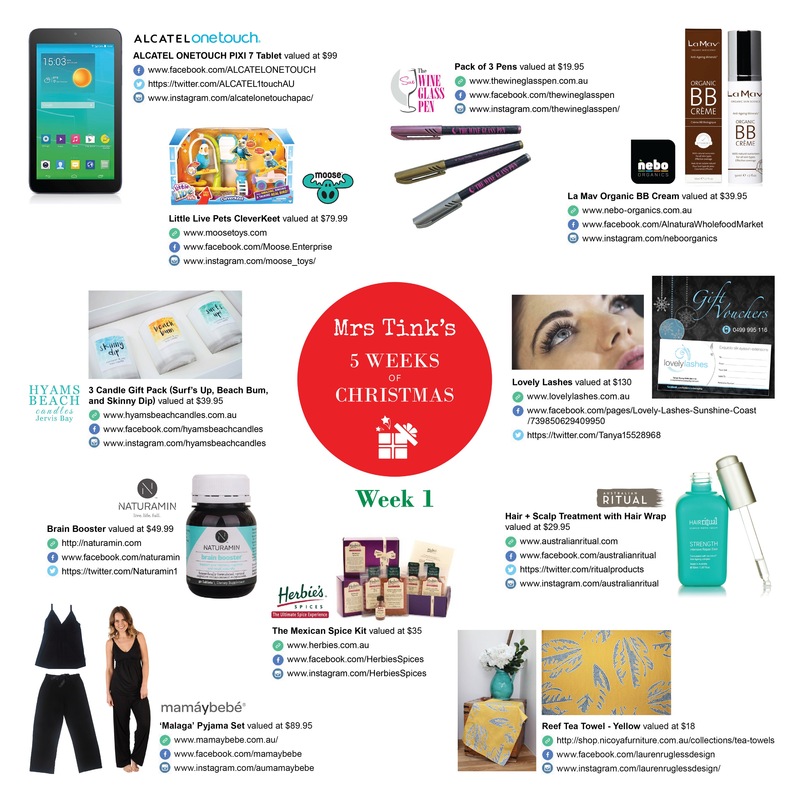 As a busy mum, there’s sometimes no time for a makeup routine, I’d love to have a cream I can put on quickly that leaves me looking fresh, still protecting me from the harsh Qld dun, AND helps with aging, so many good reasons to want to use this product. As a busy mum I’m always looking for easier solutions for my morning routine and for it to be Orgainc is a MUST! This BB Cream looks amazing! l am a self confessed skin cream and make up freak,love to try new products and if it say’s anti ageing I love it even more . Mrs Tink when you had your bathroon clean out a while back l laughed out loud ,l love trying new products and this looks amazing!! Because I seriously need all the help I can get!! I’m 30 weeks pregnant and have a 15 month old who still thinks waking up a million times a night while daddy works away (so mummy gets no sleep) is a fun game to play. I’ll try anything to cover up my red blotchy skin. My current BB cream is good, but this sounds amaze balls! I’d actually love my Mum to try this product. She’s been on the search for a BB cream & something lighter and this one sounds fab. I love the concept of BB creams, but after a failed attempt with one from Covergirl I had all but given up. This looks amazing and I would love to make my routine before work easier in the morning… Also as I am slowly creeping into my early 30s I am noticing more and more lines creeping into my face. Being able to slow that the hell down would be great! While I love to wear makeup for that dolled up look, I find that it clogs my skin so only stick to wearing it for special occasions. This leaves me feeling a little naked not wearing anything on my face day to day. I would love to try La Mav’s BB Cream to have a lovely even skin tone and an added freshness to my skin daily. Addicted to BB cream and cosmetics based on nature already as I believe skin is our most precious organ and everything we put on it is absorbed into us. This one sounds perfect – organic as well !! I love the idea of BB creams. One step, and you’re moisturised and looking fab. Alas, the creams I’ve tried are like applying sandpaper. And the for all the moisturising effects, I might as well apply sticky tape. So I’d love to try a BB cream that feels glorious, has glorious results and actually does my skin good too. My current makeup routine consists of looking in the mirror, frowning, a lick of mascara and the use of one concealer stick (which both complete the entirety of my make up range) then frowning again followed by a shrug, a smile and hoping for the best, haha!! Since having kids my makeup collection has steadily declined and I’d LOVE to try this to start to build back up my beauty collection, and confidence! And I’m all about organics, this looks sublime!! I struggle with hormonal acne, and the makeup tart that I am, I recently discovered the joy that is BB cream! I would love to try an organic one and see if it makes any improvement to my skin!